an attorney, that's our promise. your family, that's our passion. compensation, and that's our goal. The Kidneigh & Kaufman difference is based on the fact that we care about all of our clients and so we treat each client like a person, not a case. We actually return phone calls and an attorney, and not just a paralegal, will be involved in handling your claim. One thing you can be sure of is that someone will always be there to help you through the process and you will always be able to talk to someone about your case. We make it our job to try to understand what each client is going through so we can do our best to obtain the maximum recovery we can. This explains why insurance companies and corporations have paid more than $100 million in settlements and verdicts to our clients. Whether it's a minor fender bender with soft tissue injuries or a tractor-trailer accident involving catastrophic damages, Kidneigh & Kaufman is here to help. Kidneigh & Kaufman is one of the leading firms in Colorado handling insurance disputes, including insurance bad faith claims involving automobile, homeowners, and commercial policies. Let Kidneigh & Kaufman help you with your slip and fall case. Whether it's a slip and fall on a puddle of cooking oil inside a grocery store or a slip and fall on an icy walkway outside an apartment complex, we can help. Kidneigh & Kaufman is experienced and well-versed in the types of catastrophic injuries that can occur in serious personal injury cases. 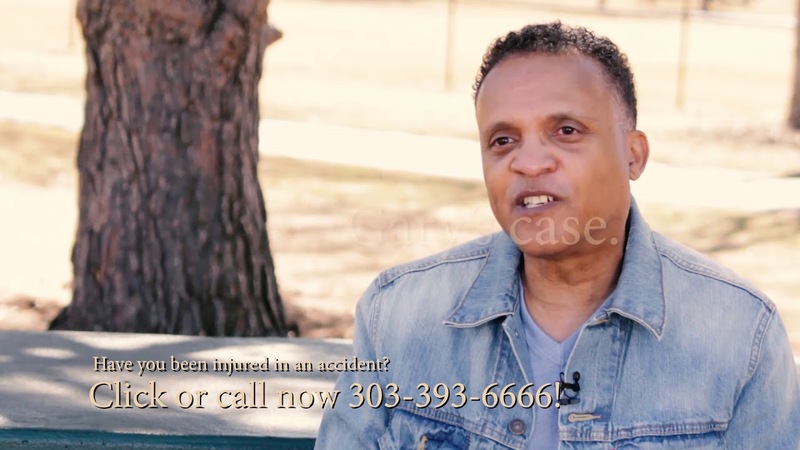 With over 30 years in business, Kidneigh & Kaufman has relationships with many of the medical doctors throughout Colorado and knows the medicine behind the catastrophic injuries. Kidneigh & Kaufman has been handling medical malpractice cases for over 30 years, starting with the first toxic shock syndrome case against Procter and Gamble in 1982. Since then, Kidneigh & Kaufman has handled every type of medical malpractice case, including dangerous pharmaceutical drugs, birth injuries, and surgical errors. Kidneigh & Kaufman can help you with any type of premises liability claim. Over our 30 years we have handled cases involving unsafe elevators, defective escalators, inadequate safety screening, insufficient fire alarm systems, and everything in between. Father, daughter, and son-in-law. These are the attorneys at Kidneigh & Kaufman, making us a true family business. Steve Kaufman was born and raised in Denver, graduating from George Washington High School before returning to Denver after law school to focus on personal injury law. Steve has lived in the Littleton area for over 30 years, where he has raised his 5 kids who range in age from 13 to 40. Jenny Crichton is Steve’s oldest daughter and his second oldest child. She loves Colorado and has never left, attending Heritage High School in Littleton, the University of Colorado at Boulder, and the University of Denver Sturm College of Law, where she met her husband, Charlie. Jenny and Charlie live in the Hilltop area with their three young children. Charlie Crichton graduated from high school in Arizona before attending the University of Arizona in Tucson. Charlie graduated from the University of Denver Sturm College of Law with Jenny and has called Denver home since 2004.